Governor of New Jersey Chris Christie spent a lot of time in the Orange Bubble this weekend, and not only because of the big news out of Nassau Hall. 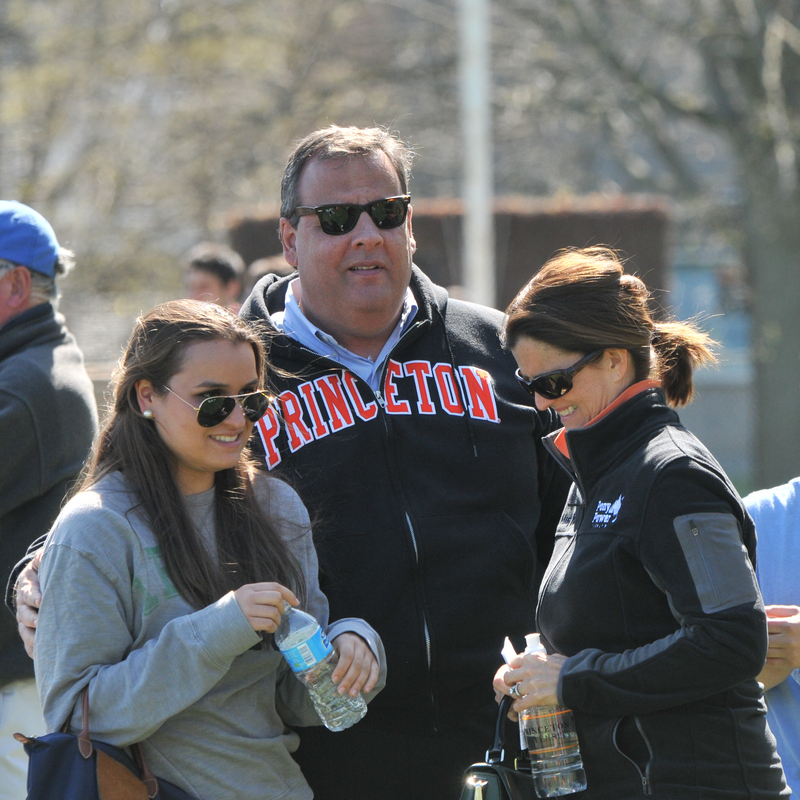 In addition to appearing at the press conference announcing Chris Eisgruber as the next president of the University, the governor stopped by Clarke Field on Saturday and Sunday to watch his son Andrew who is a member of the baseball team. The black Suburbans were pretty inconspicuous and if there were bodyguards around him I didn't see them, but I managed to find the governor in the crowd and, being an avid fan of baseball and a casual observer of politics, asked him for a few minutes of his time. The conversation took place just after the first inning of game three of the series, in which an error cost the Tigers a run, giving the Lions an early lead. Columbia went on to score nine more runs, winning 10-2 over Princeton, which committed three more errors. 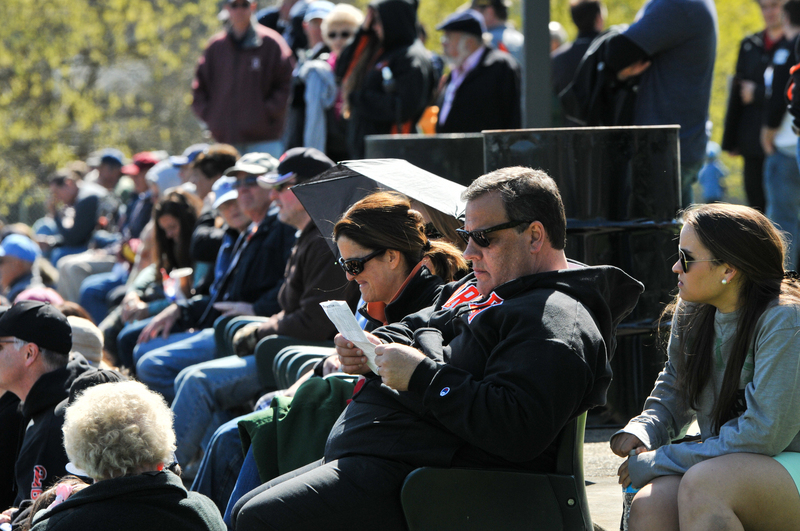 The action of the field may have been disappointing for Princeton fans, but Christie is used to being disappointed by baseball teams. When asked if he was a fan of baseball, the governor told me he is a die-hard Mets fan and not, this Orioles fan was relieved to learn, a fan of the Yankees. “I got the orange, here and in the major leagues,” he said. Every win of the season has been exciting for Princeton fans, as the Tigers started out 2-16 and have had their ups and downs in the Ivy League. They will need some timely hitting and clean fielding this weekend against Cornell, who they play in doubleheaders Friday and Sunday. 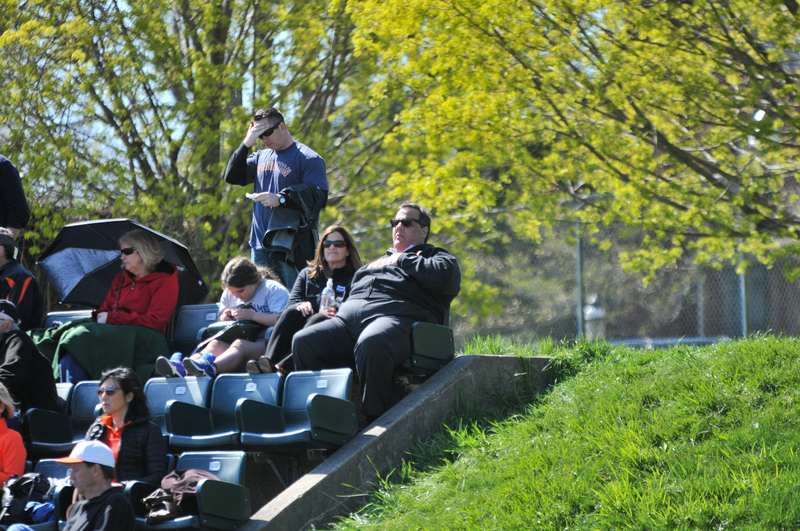 No word yet on whether Christie will be back at Clarke Field Friday.